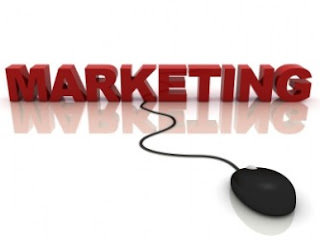 Having a business and looking ways to promote your business on the internet, then there are lots of ways to advertise your products or services that you offer. Many small business entrepreneurs work hard for managing their website. There is no hard and fast rule for maintaining the effective website however there are some useful tips for small business internet marketing which are the key factors for the website management. Content: Your website content talks all about your business. Content is the key for website and the search engines first scan content. Question yourself like when is the last time that you added content to your site and is it useful for the reader and does it convey what exactly you want to say Etc. Update your website with relevant and fresh content which is very important for the search engines. Your website’s success is mainly measured by the traffic that you get so maintaining your site with relevant content is important. Optimise ethically: Some companies promise success by following black hat SEO techniques, which are not advisable and such techniques are not encouraged by search engines and you will be penalised by the Google. Follow the best practices of the search engines and abide the rule and regulations and be genuine to your customers which can give good online reputation to your business. Link Building: This includes both in bound and out bound link exchanging. For getting more number of links to you website you have do linking exchanging with other sites. Having more number of links helps you to get good page rank, which is in turn useful in search engine results page. Do link exchanging only with the niche websites. Practise social book marking, article submission, directory submission, which useful for building for link building. Website Structure: Search engines prefer websites which are well structured because of the computer programming that is being used. A well-structured websites generate more traffic than compared to disorganized sites. Make proper use of keywords in URL structure, H1, H2 tags, Meta titles, Meta keywords etc., use bold and italic fonts wherever required. Analytics: You can only improve when you measure your work done. Analytics provide great advantage of the tracking your website visitors, it gives the all the information like what exactly a user is trying do on your website. And also other useful information like IP address, from which area a visitor has come etc. Google Analytics is free and is the best install it for your website so that it helps you to track your website clicks, conversions, etc. Make use of local business directories: There are many free local business directories, get listed in the top directories, which can surely boost your business sales. Some of the famous business directories are Google local business centre, Yellow pages, yahoo local, Yelp etc. For any business to run successfully advertising and promoting it business products and service to its targeted audience is very important, and if you are running short of funds to do so then you can obtain payday loans.